Trader applications for 2019 are now open. CLICK HERE to download the latest site map. CLICK HERE to read our green trader policy. In 2018 we opened the festival on Friday for the first time extending the event to 3 full days of trading. We are pleased to announce we will be continuing this for 2019. 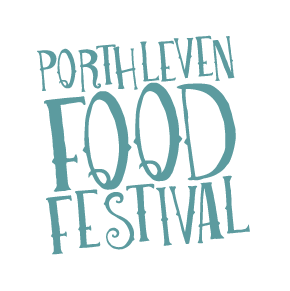 Last year was the most successful Porthleven Food Festival to date, we saw over 40,000 visitors across the three days and the community feedback was overwhelming. We are in the process of making some changes to the layout of the event which will hopefully make the festival better for both stallholders and visitors. With regret we won’t be able to take single day bookings. Create one large central zone by connecting The Shipyard Port and The Starboard. New stalls have been added inbetween The Shipyard Port and The Starboard to encourage guest participation throughout and to join the areas together. Please read carefully before you book. Please refer to the map found at the top of this page to see the different zones available. When booking you will need to book a place in accordance to the nature of your business. E.g. Charity Stall, Hot Food, Non Food trader etc. Due to a high demand of applicants, priority is given to Cornish producers. We retain the right to maintain a fair balance of participation. Upon booking please include your first choice AND second choice in case your first choice has sold out. In the circumstance that both your chosen areas have sold out we will contact you to offer any other available spaces. Returning traders will be given a two week presale window to book their place, after this stalls will be allocated on a first come first serve basis for both returning and new traders. Deposit – Once approved, you’ll need to make a 30% deposit payment within 7 days of the invoice to keep your place. The deposit payment will include any necessary power costs. If we do not receive your deposit within the 7 days we are unable to hold your stall and it may be sold to another trader. Balance – The remaining balance is due 60 days before the event, 25/02/19. If we do not receive your balance 45 days before the event, by 12/03/19 the stall is no longer held and it may be sold to another trader on our wait list. To continue our efforts in reducing and eliminating single plastic use we will be enforcing a compulsory Green Trader Policy. Please take the time to read this policy, found in at the top of this page, before submitting your application. Traders must take their own rubbish home with them at the end of the event. Please leave your pitch exactly how you found it. All traders must provide a copy of their public liability insurance certificate. Food traders must provide a copy of their food hygiene certificate or rating. Please read the Health and Safety, Food Hygiene and outdoor catering checklist forms. A food hygiene inspector will be present on the day to ensure traders comply with wash facilities, and if required chilled cabinets, hobs, freezers, cleaing products and kitchenware. Traders who require electric will need to send in their complete event power requirements by 01/03/19. Porthleven is extremely exposed to the elements. All stalls apart from the Purple Zone, and the South West Market are outdoor spaces only. You will need to bring your own strong wet and windy weather cover, which can be firmly fastened down. e.g. – gazebo with weights and ropes. You must not exceed your booked space. Stewards will not permit extra space, under any circumstances. Extra space can be purchased if you are an over sized stall or vehicle. You are applying for 3 days of trading. That is Friday 26th, Saturday 27th and Sunday 29th April 2019. Trade and load in details will vary depending on stall location and price. These details will be confirmed with you personally. Camping for traders is available for £5 per person – Please note there will be no parking next to your pitch.